The reviewer has been compensated in the form of a Best Buy Gift Card for this post, SunBriteTV Outdoor TVs at Best Buy, and all opinions are my own. This summer we have a new room in our house. The back deck. We bought a comfy L-shaped couch that fits the whole family and a large fire pit that we can eat around. It’s covered with a pergola that is full of vines so it really does keep the sun away. We truly live back there! What is the one thing it doesn’t have that my husband wants? A TV! When I saw that Best Buy sells outdoor TVs by SunBriteTV I smiled. Never knew there was such a thing and now I’m excited to tell you all about it. When I say weatherproof I mean it. They can be in rain and snow. The powder-coated rust-proof aluminum exterior also protects from dust, insects, humidity, and salt air. The TV can stand temperatures as hot as 104 degrees and as cold as -24 degrees. 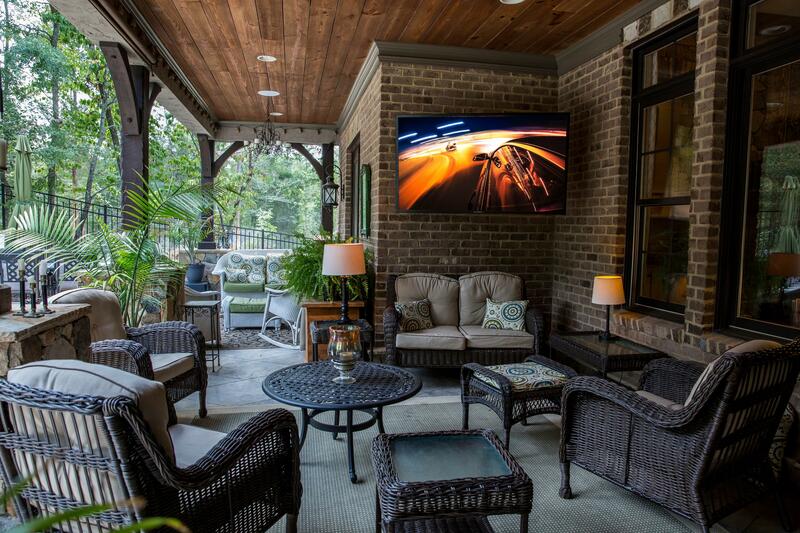 They are engineered for permanent outdoor installation so that makes them more durable, safer, and have higher performance than using indoor TVs outdoors. 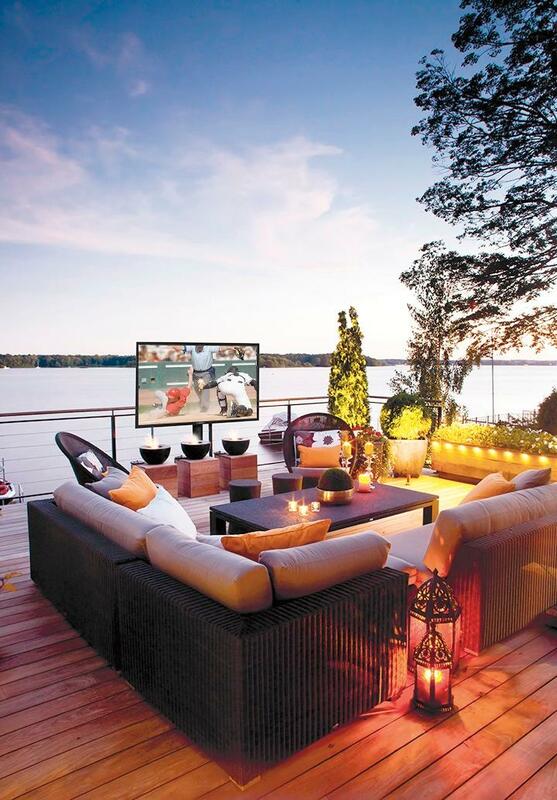 Besides the all-weather uniqueness of these TVs, what also makes them outdoor worthy is they are brighter than normal TVs so you can view it in the sun and without glares. They have 2160p resolution for breathtaking HD images to watch your 4K movies and TV shows at 4x the resolution of Full HD. Check out all the SunBriteTV outdoor TVs at Best Buy. 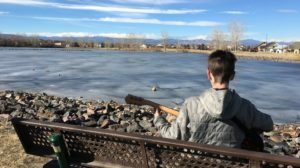 They have great reviews! Special offer going on right now: Purchase the SunBriteTV 55″ Veranda series you’ll receive a free Outdoor Weatherproof Tilt Mount. You definitely need one of these. 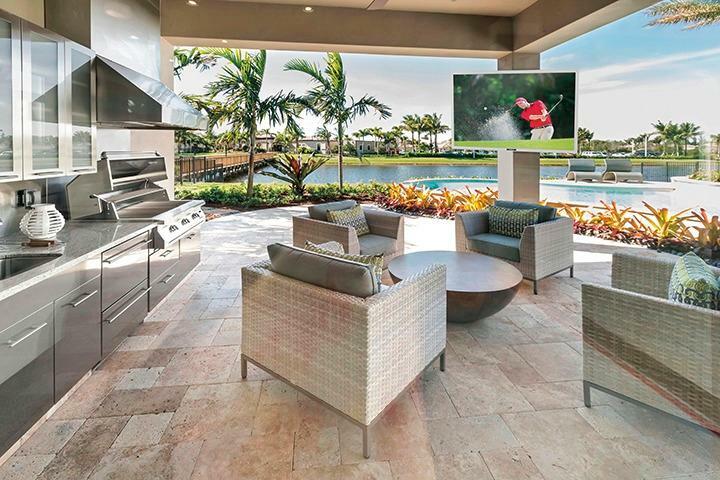 Would your family love to watch movies and sports outside? I know we would!